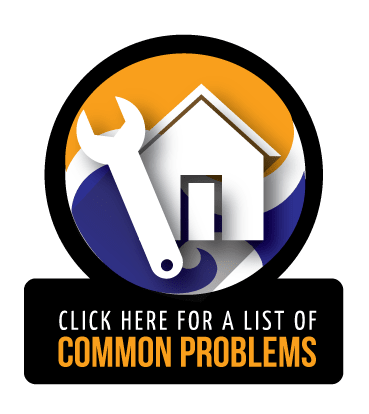 The homes in Aurora, NE are susceptible to foundation problems and water damage due to the high water table and the expansive soil. Because of these conditions, homes may develop basement flooding and standing water. Fortunately, we have the waterproofing solutions to take care of any of the issues in your Aurora, NE home. By installing a basement drainage system with exterior and interior components, we can keep moisture out of your basement. 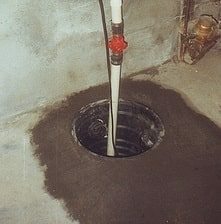 Basement drainage on the exterior of your home includes gutters and drains, while the interior system is made up of water collection channels and pipes, as well as a sump pump system. These systems all work together to keep water away from your foundation and remove basement moisture. If you see any of the signs of foundation problems, contact as soon as possible. 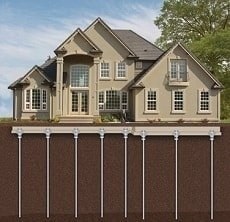 We install underpinning products, such as steel piers and helical piers to stabilize your home's foundation in Aurora. Piers are individually driven deep into the ground and anchored into stable soils. Then, the entire structure is lifted onto these piers to stabilize the foundation for years to come. Helical tiebacks are another type of foundation repair product used to support and straighten bowing or leaning basement walls back into position. Crawl Space Repair: Consist of a 10 to 16 mil thick vapor barrier to ensure a reliable solution for damp crawl spaces. 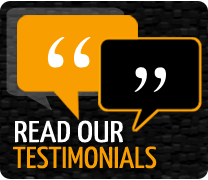 Radon Service: We offer radon testing and radon mitigation to lower radon levels in the home. Egress Windows: Maintenance-free window wells designed to seal out moisture.